These days, it’s not enough to just think really hard about the gifts you buy for your loved ones. I mean, sure, we may be getting them things off their wishlist, but is that enough of an expression of thoughtfulness? For gift-givers who really want to go the extra mile, personalizing a gift is often the way to go. Not only does it really show how well you know the person you’re giving the gift to, it also gives them that bit of security knowing they can wear or bring your gift around without fear of accidentally twinning with a total stranger. Uniqueness is a pretty nice gift, too, you know. If you’re not cut out for making a gift from scratch, what’s the next best thing? A design-your-own item pretty much fits the bill. Take the Make Your Own Havaianas (MYOH) for example. The annual customization event is now happening for the holidays, so that’s pretty good news for many of us gift-givers. Themed “Wilderness of Joy,” this year’s MYOH goes beyond the usual sole-strap-pins combo we all know and love. Aside from quirky pins like a slice of pizza, a palm tree, a smiley face, and a commemorative rainbow pin, MYOH also features a new pattern this year. The camo print is set with banana leaves against a deep blue background. Aside from flip-flops, MYOH at Shangri-La Plaza will also be featuring an exclusive collection of customizable Havaianas espadrilles. Part of the proceeds from the MYOH pins will go to Save The Children, a non-profit organization providing relief and support to children in developing countries. Make Your Own Havaianas is on Nov. 17 to 18 at Bonifacio High Street Amphitheater, BGC. 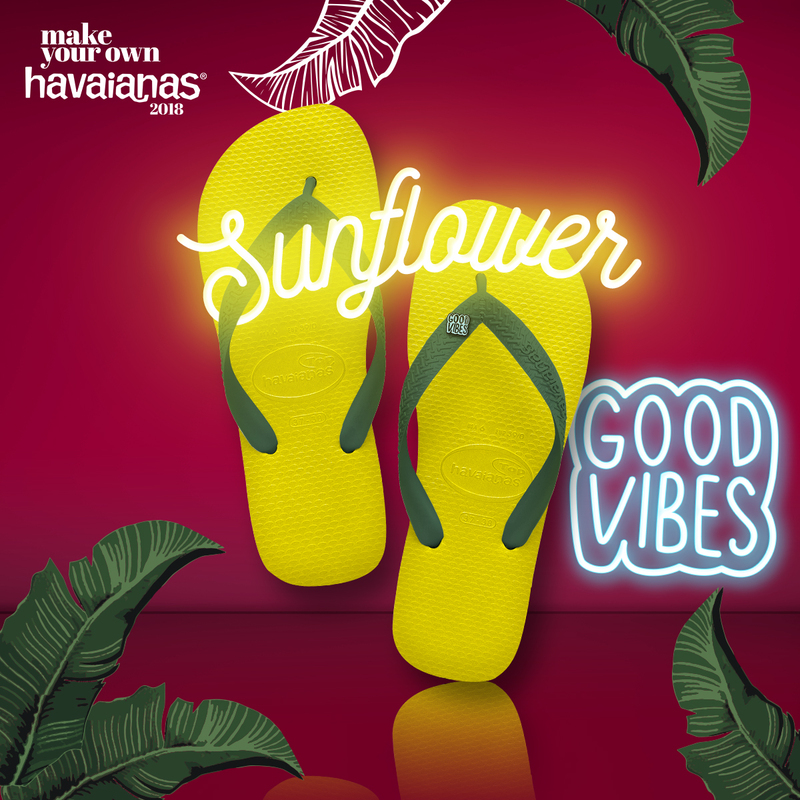 November 17 to 20 at havaianas.ph, Shangri-La Plaza Mall, selected All Flip-Flops stores (Alabang Town Center, Glorietta, TriNoMa, Robinsons Ermita, SM Megamall, SM North EDSA Annex, SM Mall of Asia, SM Manila, SM Fairview, SM Pampanga, and SM Baguio), and CommonThread (Greenbelt 5 and Power Plant Mall).